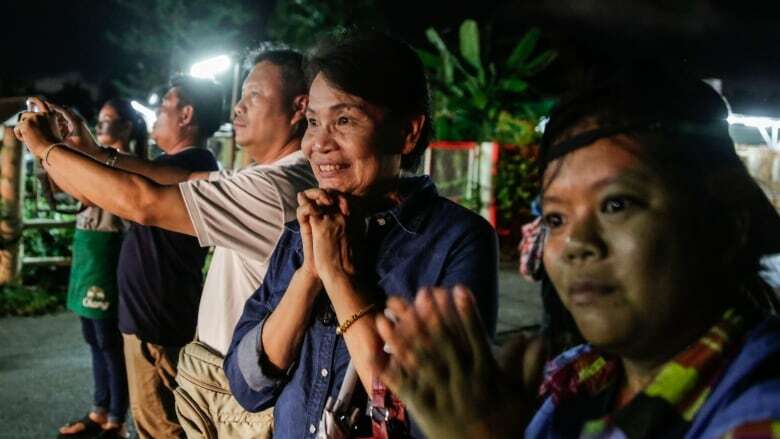 Rescue workers in Thailand on Monday brought four boys safely out of a labyrinthine flooded cave complex where a 12-member soccer squad and their coach have been trapped for more than two weeks, taking the total number rescued to eight. The mission to save all those trapped could take three or four days, officials have said, a race against the clock with heavy rain expected this week that would again flood the tunnels with fast-flowing, rising water. The dramatic and dangerous rescue was launched on Sunday and four boys were brought out that day. They were in good condition in hospital, officials said. "The rescue has been immense," said volunteer helper Somjit Saenset, 56. "I'm so happy the children came out safely. I want to send my moral support for all involved" in the rest of the mission. 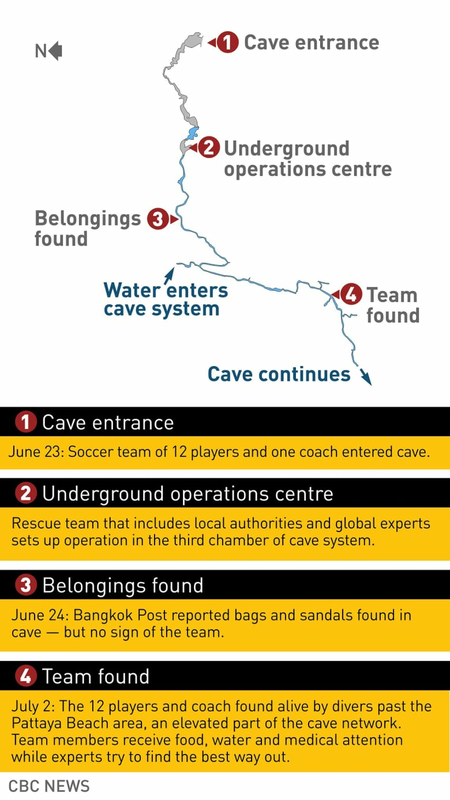 The Wild Boars soccer team and their coach, 25, got trapped on June 23 when they set out to explore the vast cave complex after soccer practice, but a rain season downpour flooded the tunnels. British divers found the 13, huddled on a muddy bank in a partly flooded chamber several kilometres inside the complex, last Monday. Efforts to rescue the boys — aged 11 to 16 — got going again on Monday after a break to replenish oxygen supplies and make other preparations deep inside the cave complex. Narongsak said more personnel were being used in the rescue on Monday. Narongsak said rescuers had to tighten a guide rope as part of their preparations for Monday's operation. Authorities have not confirmed the identity of the first four boys rescued. Some of the parents told Reuters they had not been told who had been rescued and that they were not allowed to visit the hospital. Narongsak said the rescued boys had not been identified out of respect for the families whose sons were still trapped, adding that the boys were being kept away from their parents because of fear of infection. "The four children are well at Chiang Rai Prachanukroh hospital. But they still need to be kept away from their parents and others," he said. Medical teams previously said concerns included hypothermia and an airborne lung infection known as "cave disease," which is caused by bat and bird droppings. 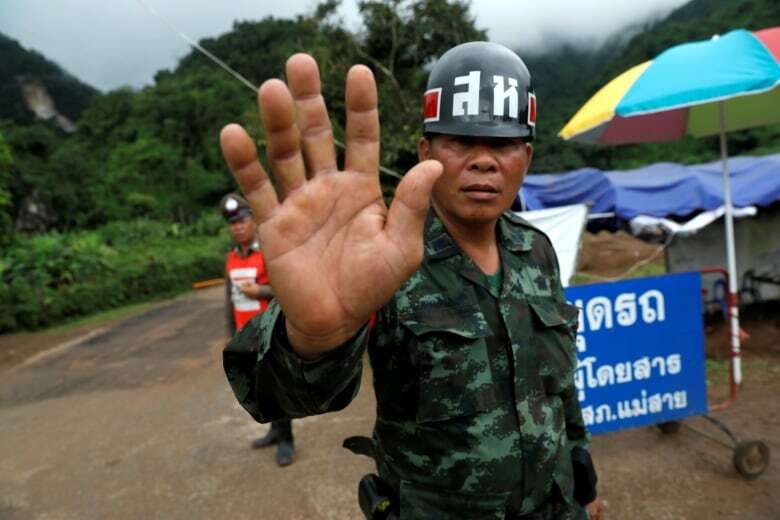 "We have not been told which child has been brought out.... We can't visit our boys in hospital because they need to be monitored for 48 hours," Somboon told Reuters.